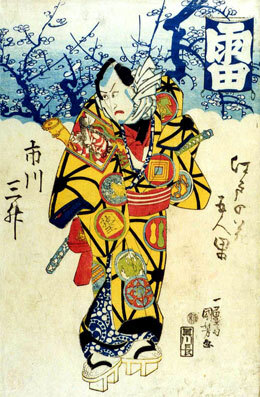 The actor Ichikawa Ebizô II's haimyô was Sanshô and, although he never officially held the name of Ichikawa Sanshô I, he was considered as the founder of the line. 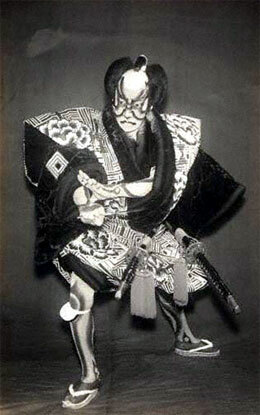 The actor Ichikawa Ebizô III's haimyô was Sanshô and, although he never officially held the name of Ichikawa Sanshô II, he was considered as the second actor of this line. The actor Ichikawa Hakuen I's haimyô was Sanshô and, although he never officially held the name of Ichikawa Sanshô III, he was considered as the third actor of the line. The actor Ichikawa Ebizô V's haimyô was Sanshô and, although he never officially held the name of Ichikawa Sanshô IV, he was considered as the fourth actor of the line. The actor Ichikawa Sanshô V held this name from November 1917 to February 1956.